Massachusetts’ law governing brewer-wholesaler relationships dates back to 1971 and has been under fire from the craft beer industry, led by the Boston Beer Co., over the last decade or so. A state senator has rescued from legislative limbo a bill that would help brewers break free from their distributors, a move that breathes new life into a long-running battle on Beacon Hill. The action by Senator Barbara L’Italien raises the likelihood that brewers and distributors could reach some sort of truce before the Legislature’s roll call votes end for the year on July 31. At issue is a 1971 state law that makes it difficult for a brewer to leave a wholesaler after they’ve worked together for six months, even if a brewing company is unhappy with the arrangement. 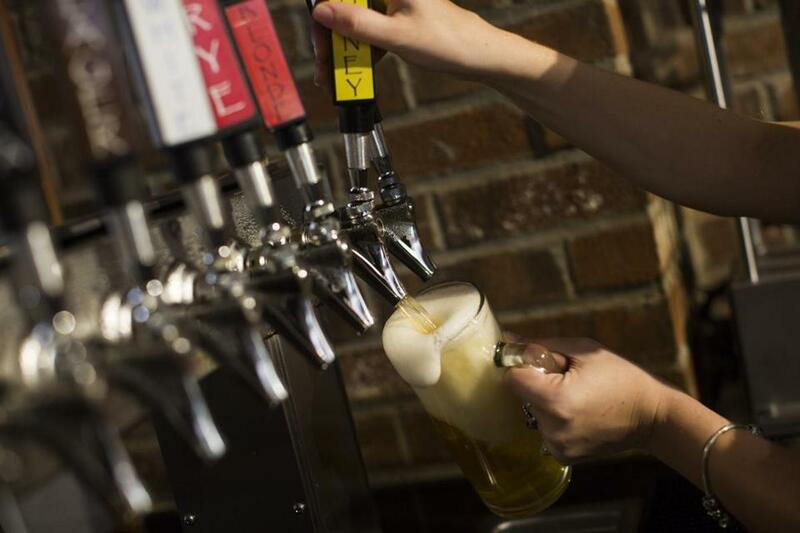 The craft beer industry, led by the Boston Beer Co., has unsuccessfully tried to change the law for much of the past decade, a period during which beer distributors have held sway in the Legislature. But momentum has been shifting in the brewers’ favor. Distributors finally offered up a compromise about a year ago, one that would provide a new exit route for companies that produce fewer than 30,000 barrels a year. Brewers have so far resisted that proposal. The two sides again clashed before the Legislature’s Joint Committee on Consumer Protection and Professional Licensure, and the panel’s House and Senate chairs couldn’t reach an agreement on moving the legislation forward before a February deadline. But L’Italien, the Senate chair of the committee, earlier this month prompted the full Senate to overturn her panel’s deadlock. That advanced the bill to the Senate Ways and Means Committee, queuing it up for a full Senate vote. She said her bill would allow brewer-distributor relationships to be controlled by contract law, making it easier for business divorces to take place. It’s not clear how much support her bill has in the Senate, and it likely faces opposition in the House. L’Italien, an Andover Democrat, said she knows the two sides still need to reach a compromise. The industry dynamic has shifted dramatically from the era when the franchise law was written — a time when wholesalers feared that the departure of a major out-of-state brewer could destroy their business. The distribution business has since consolidated, while the number of brewers has grown significantly. When the brewers’ guild was formed in 2007, there were about 30 brewing licenses in the state; now there are more than 150. Most Massachusetts brewers are small — well under the 30,000-barrels-a-year threshold proposed by the distributors. Only four companies exceeded that benchmark in 2016 — Jack’s Abby, Wachusett, Harpoon and Boston Beer — although several others were close. Boston Beer is by far the largest, more than 20 times the size of Harpoon. The maker of Samuel Adams beer produced 2.3 million barrels in 2016. Bill Kelley, president of the Beer Distributors of Massachusetts, said he’s disappointed that the brewers haven’t given his group’s compromise proposal more consideration. It would create a new “emerging brewery” category to cover the smaller brewers. The bill would allow eligible brewers to walk away if they give at least 90 days notice and agree to reimburse the wholesaler for marketing materials, distribution rights, and any unsold inventory. “We’ve given a fair and reasonable solution to a perceived problem,” Kelley said. The bill that craft brewers are pushing, Kelley said, could jeopardize the jobs of people who work for family-run distributors and support the brewers with the expectation that the partnerships will last. But Burns, the guild president, said many brewers feel stuck, and some can get traded to another distributor without consenting. Under the current rules, he said, a wholesaler has enough leverage to easily put a craft brewer out of business. Burns said the proposed 30,000-barrel threshold would discourage some brewers from growing, and he is concerned about other aspects of the bill. Adam Romanow, founder of Castle Island Brewing in Norwood, said he works with the Massachusetts Beverage Alliance — a coalition of five distributors — and has found the support to be invaluable. Romanow worries that doing away with the state’s franchise law completely could dissuade distributors from taking on newer craft brewers. But he understands why some brewers want more freedom.